My daughter is a senior this year and is finishing up her last day of band camp. Part of being a senior in band means that on the last day, you get to decorate the band room in a theme. She and her fellow band members chose “disco.” And since, according to her, “My mom makes stuff all the time,” I had the distinct honor of making a disco ball. So today’s post is a little less home decor and a little more party decor. At Michael’s, I picked up a 10″ styrofoam ball. I wanted the disco ball to be a little larger, but 10″ was the largest they had. You could also use a large ball or beach ball. I began by spraying the ball, in sections, with Krylon spray adhesive and then sprinkled the glitter on the adhesive. 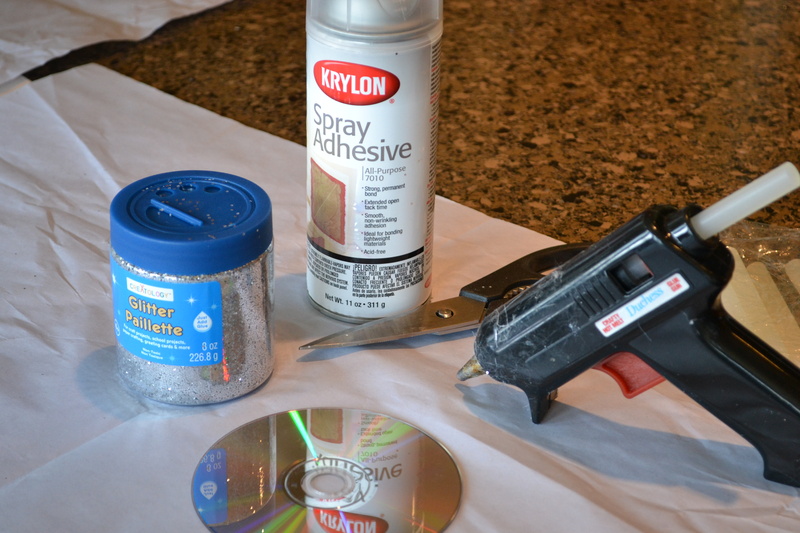 You could also simply spray paint the ball with silver paint. I liked the glitter, because I liked the way it sparkled. At first, I thought I would put large, clear “gem stones” on the ball. Put that proved to be too expensive. 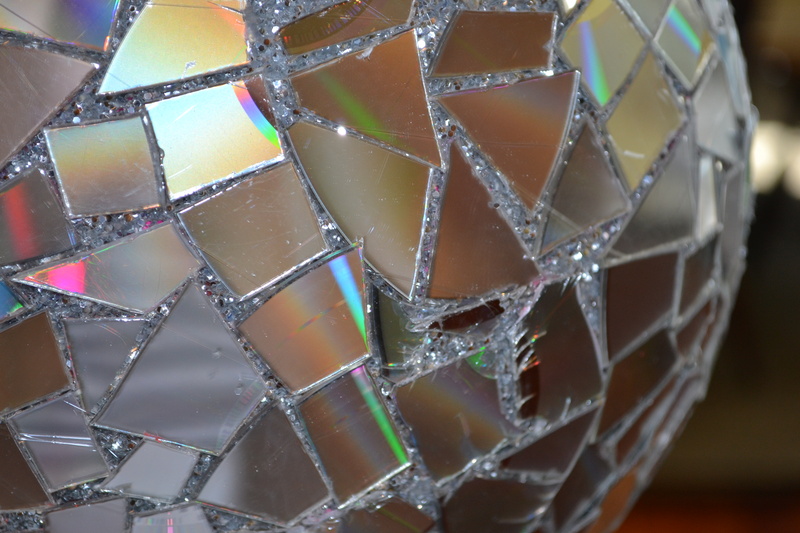 I went to google and discovered that some people have used pieces of a broken mirror and others have used CDs. First…I’m not breaking a mirror. Second…with my luck one of the kids would have cut themselves. So I settled on using CDs. Just be sure you won’t need them anymore! I cut the old CDs into pieces. 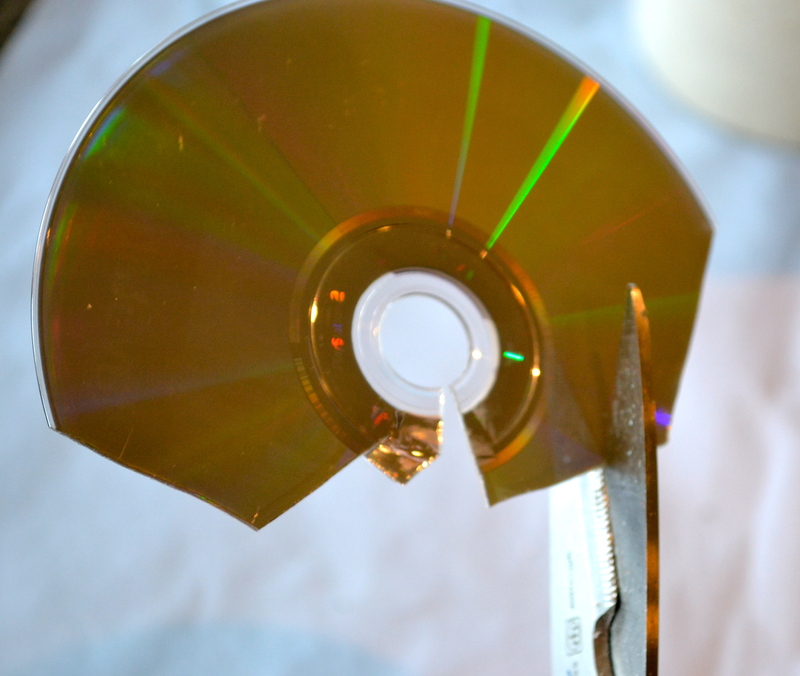 Some of the CDs cut very easily and others spilt and cracked. 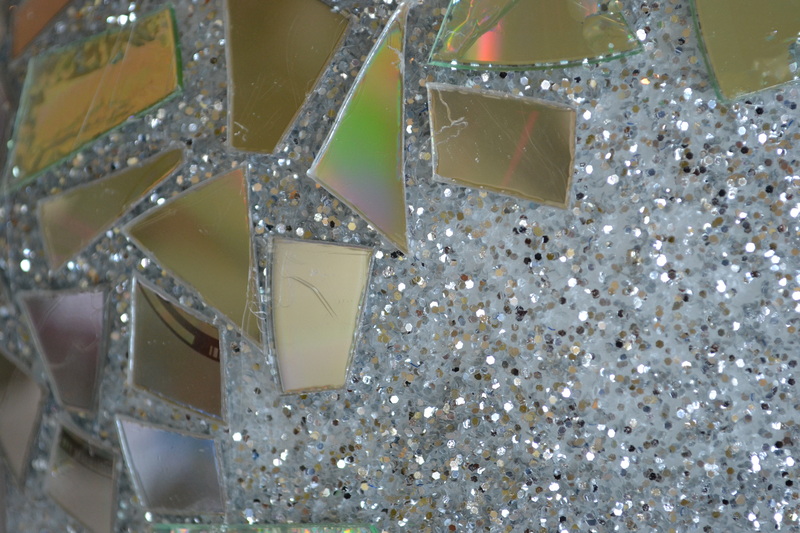 Using the hot glue gun, I began applying the pieces of the CDs, being sure the silver side was facing up. Watch your fingers! The pieces are small and the glue is hot! In the beginning, I had cut the CDs into various shapes, but I found that it looked better if the pieces were more square. Also, I had been leaving space between the pieces, allowing the silver to show. Through trial and error, I realized that it was best to get the pieces as close together as possible. Of course, that requires more CDs. For this 10″ ball, I had to use 10 CDs. To hang the disco ball, I used a hook, that is used to hang a planter. My husband bent the hook so that the string would not slide off. You could also use a piece of a wire hanger that is bent into a U shape. Whichever you use, you simply put it into the styrofoam ball and apply some glue where it enters the ball. One advantage of using styrofoam is that you can easily insert whatever you choose to use. 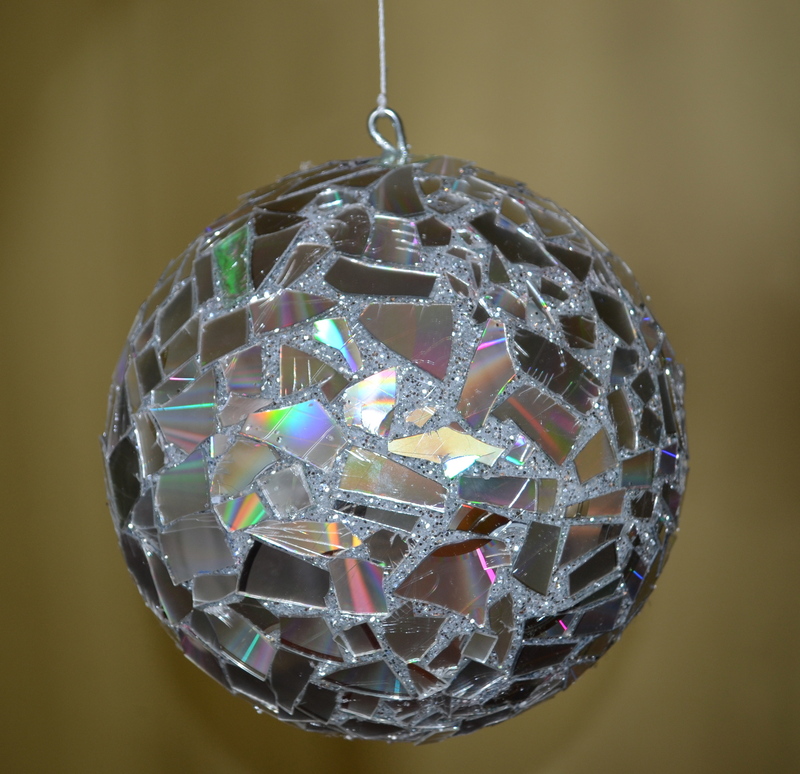 Use string or fishing line to hang the disco ball. It really sparkles just like a real disco ball! If I’d had more time…and more CDs, I would have made the pieces side by side, covering the entire surface. I’ll be sure to do that next time my daughter volunteers me to make something! Just kidding, I willing agreed and loved doing it! What fun, exciting things have your children asked you to make? < Previous You Rocked The Vote! Wow! great job and use of old cds! Thank you! So glad to hear from you. Thanks so much! I think my husband was worried I’d get some of his to cut up! Glad to hear from you. Your blog is so cute! Love it! You could so something like this for the holidays too!!! Thanks Stacey! Good to hear from you. Hope all is well! I think this turned out great & wish I would have known how to do this a year ago. I did a ‘Club’ theme for my sons 13th birthday with a candy bar, mixed glowing drinks, DJ, VIP lounge, lanyard club passes etc. I was shocked to see how much disco balls cost! This is such a great use of many supplies most of us have lying around. I have 2 teenage boys & it still amazes me how much they brag to their friends & anyone who will listen that I can “make anything dude.” I have caught my oldest giving a house tour several times pointing out all the things I’ve made. It truly warms my heart when they do this. Just when we think they’re not paying any attention to us they go & prove us wrong. Lol. Such a great idea I’m pinning it! Thanks for sharing. Your welcome! Thanks for the complement! I love it too when our teenagers show how much they really do notice what we do. Makes it all worth while. Stop back by. Thx! 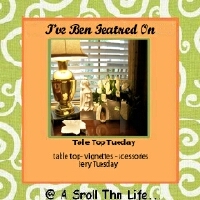 I wanted to invite you to join my new linky party, Twirl & Take a Bow. 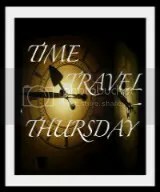 It’s every Tuesday. 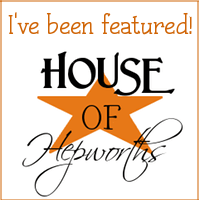 Any of your home related crafts, tutorials, DIYs, etc would be a great addition! Hope you can stop by! Love this! It’s hard to believe it’s made from cd’s. What a great upcycle! Thanks! It really was a great use for those old CDs that were just taking up space. Glad you stopped by!